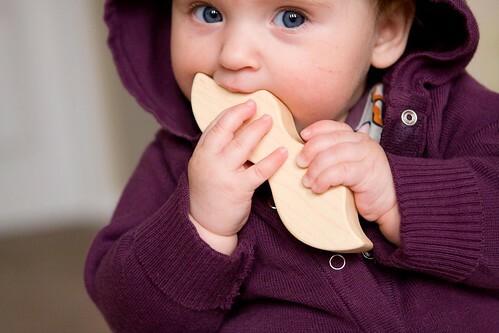 mustache teether from little alouette. 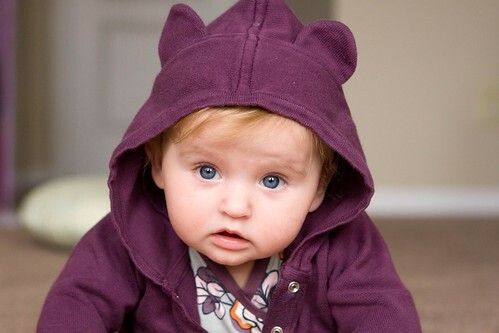 eared hoodie from plum bunny. floral romper from tea collection. 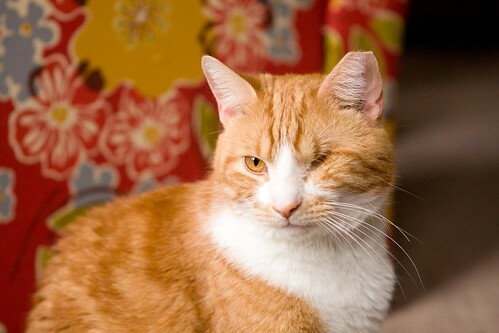 one eyed cat from the humane society. husband found at radio shack circa 2000. Oh my gosh, love love love! @Katie, I don’t know about awesome and cool (thank you none the less) I’m just lucky I got married early to cover the entire crazy cat obsession I have always had. @Casey, Well, I’m in trouble then. I’m going to have to find myself a local Radio Shack. I love how Percy is relaxing on Cody. 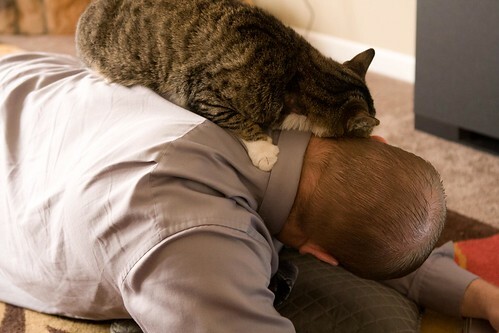 That’s true feline love right there. 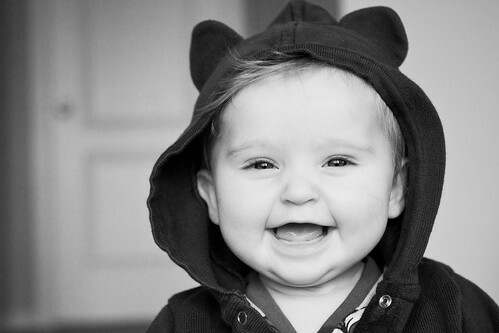 And I love it when babies wear additional ears on their hoods. So. Freakin’. Adorable. @Ami, He’s forceful with his love and adoration. She is so ridiculously adorable! Stop it! I’m not supposed to want one of those! 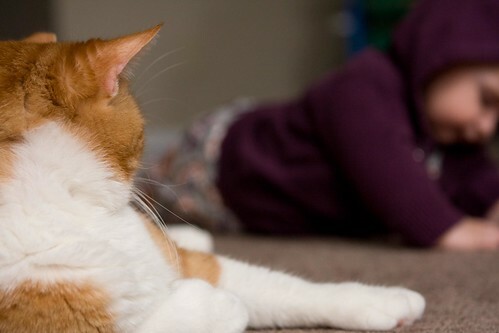 @Brittany, Percy is the most violent bumper that ever did purr.